Martyn Hilbert's Railway Photography - Branch Lines - Class 114, E56043 & E50001 at New Holland Town. Class 114, E56043 & E50001 at New Holland Town. 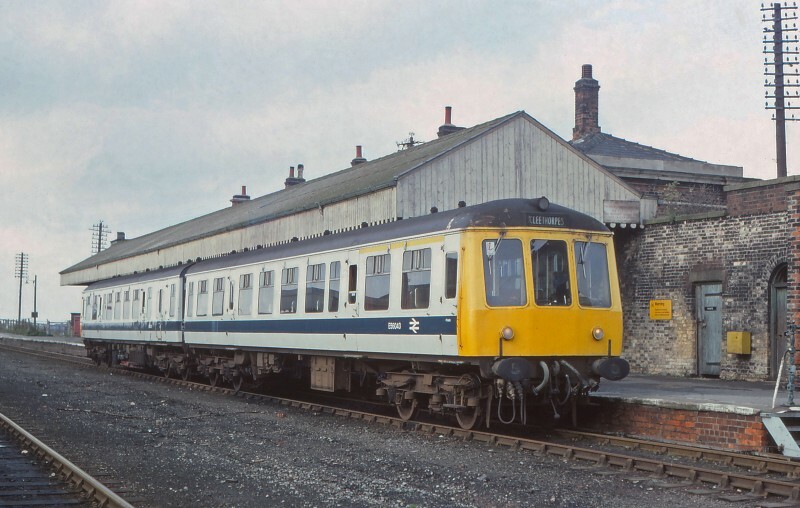 Having travelled down the 1375ft long Pier from New Holland Pier Head, Class 114 2-Car DMU formed of E56043 & E50001 stands at New Holland Town with a service to Cleethorpes on Sunday 29th September 1980. With the opening of the Humber Suspension Bridge in June 1981, and the subsequent withdrawal of the ferry service from New Holland Pier to Hull, the stations and the pier were all closed on June 24th 1981.